Cromwell’s Madhouse in County Mall, Crawley, sells jeans and T-shirts for men and women. 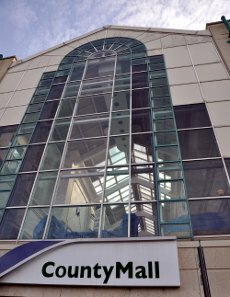 Cromwell’s Madhouse is on the upper level of County Mall, close to the lifts. For driving directions, see the County Mall page. There are two large car parks at County Mall.